Can you believe it’s June already? 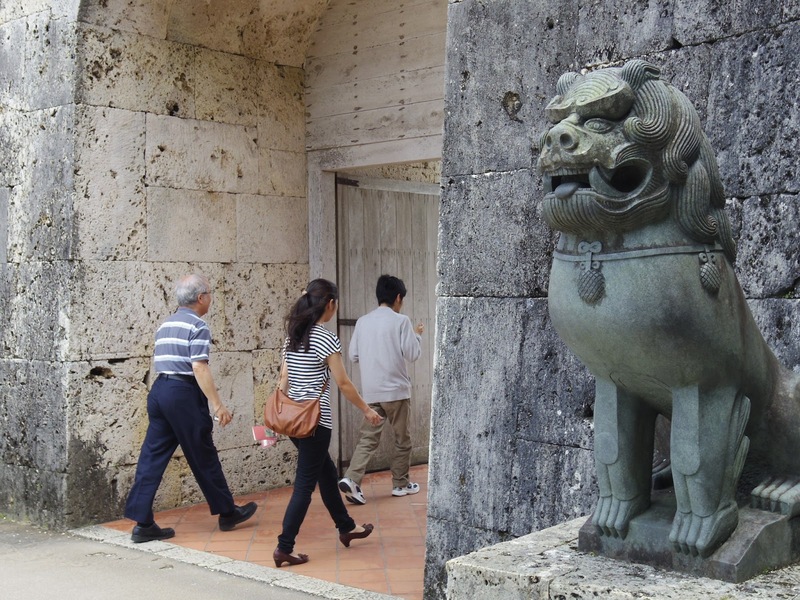 And I’ve still working on my Okinawa posts. I need to speed things up! So here is a quick post on one of the most popular tourist spots we stopped by, Shuri Castle, which we call Shuri-jyo in Japanese. So from 1429 to 1879, the Kingdom of Ryukyu reigned on the island, which is now Okinawa prefecture. 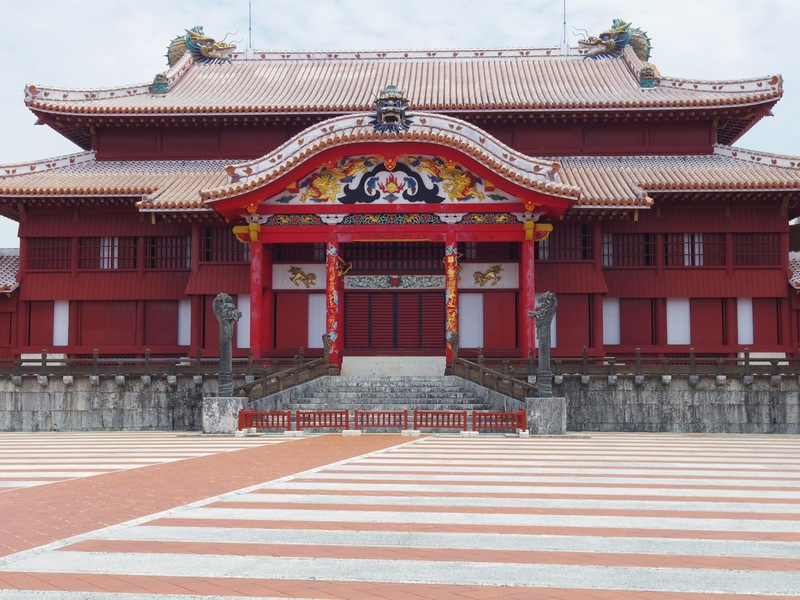 Shuri Castle was the royal residence and also the administrative center of the kingdom. 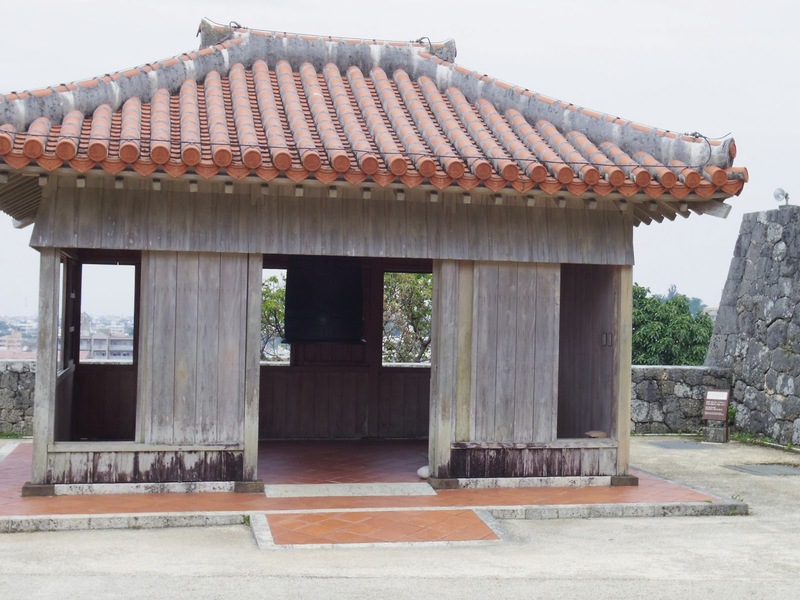 Records state that Shuri Castle burned down several time and had to be rebuilt. But after the island became part of Japan, it was totaled during the war in 1945 because the Japanese army set up headquarters there (which everyone knows is just asking to be bombed). After the war, it became the campus for the University of Ryukyus for awhile. During that time, Okinawa was actually part of the United States administration until they returned it to Japan in 1972. 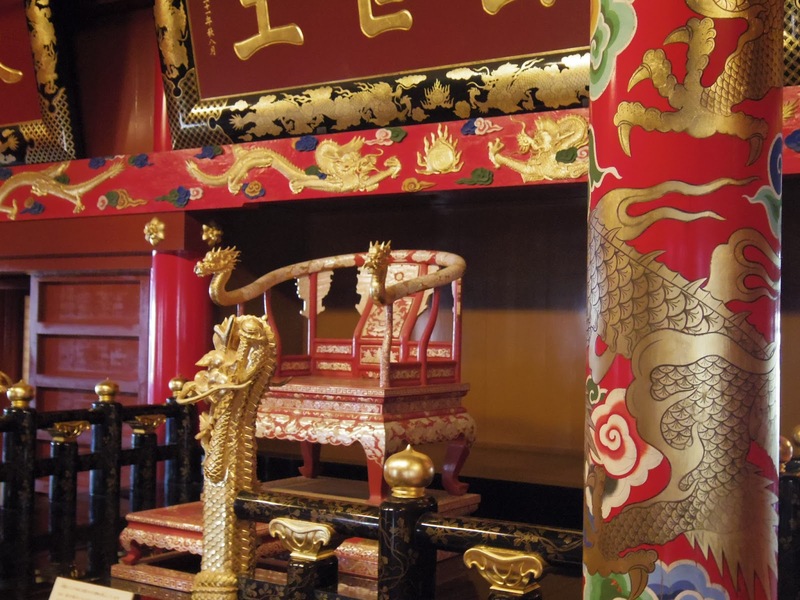 Shuri Castle officially began reconstructing in 1992 to what is now the Shuri Castle Park. And as you can see in the photo below…(drum roll please! 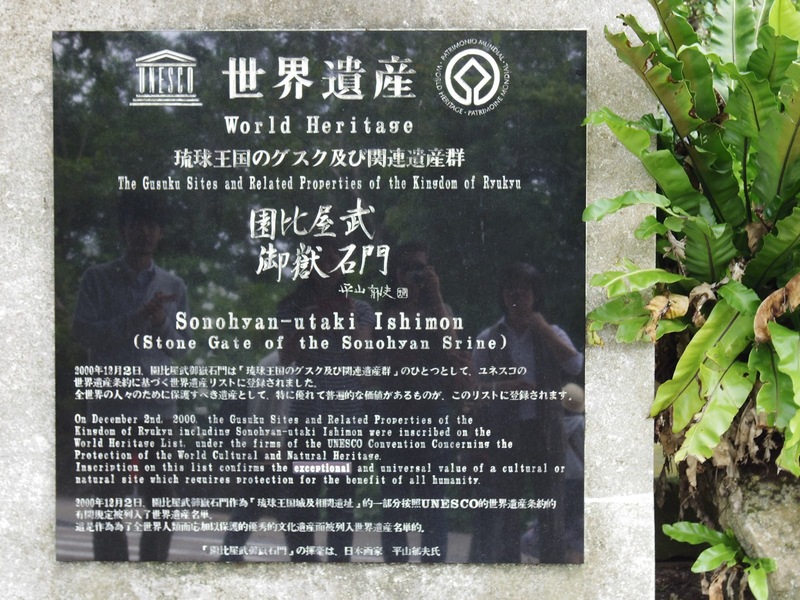 )…Shuri Castle was one of the Ryukyu castles that was registered as a World Heritage Site in 2000! My family tends to read everything together out loud…I know, annoying! haha! 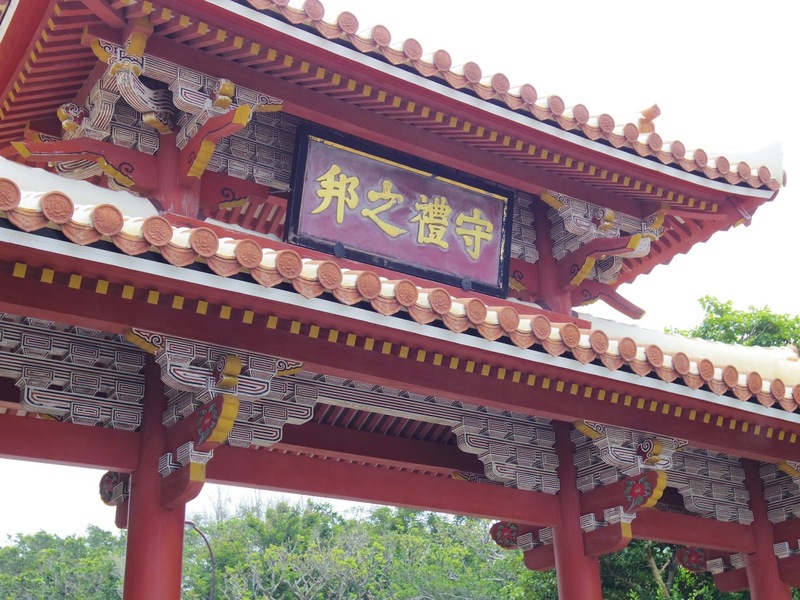 The first entrance to Shuri Castle, Kankaimon (歓会門). View of the gate Kyukeimon (久慶門) from above. A building which houses the Bridge of Nations Bell. as a bridge between China, Japan and Korea, and with a flourishing trade. You need a ticket to enter the main area. The main building, Seiden (正殿), standing majestically on the Una Courtyard. Most of the buildings around the courtyard have buildings which are fascinating! 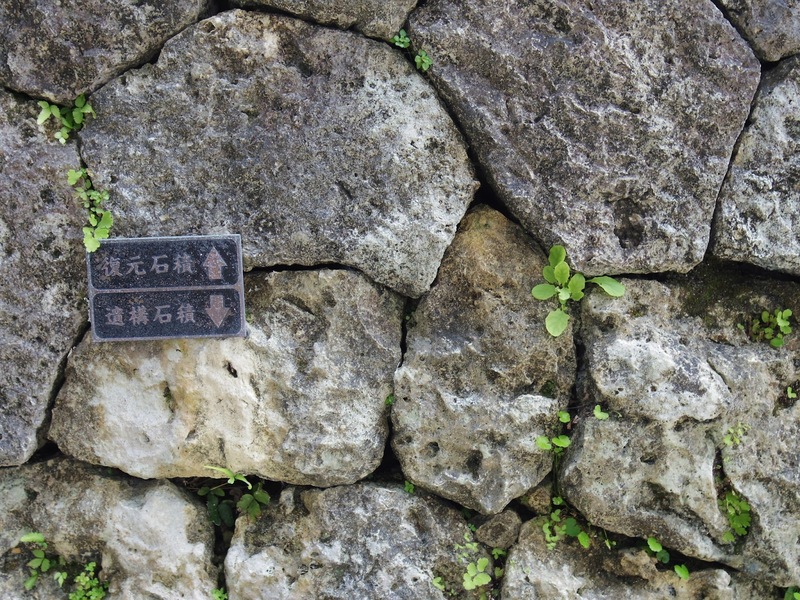 Below were the actually walls of the Shuri Castle that were preserved. The inside was simple, yet gorgeous. I love the bright colors used in the design. 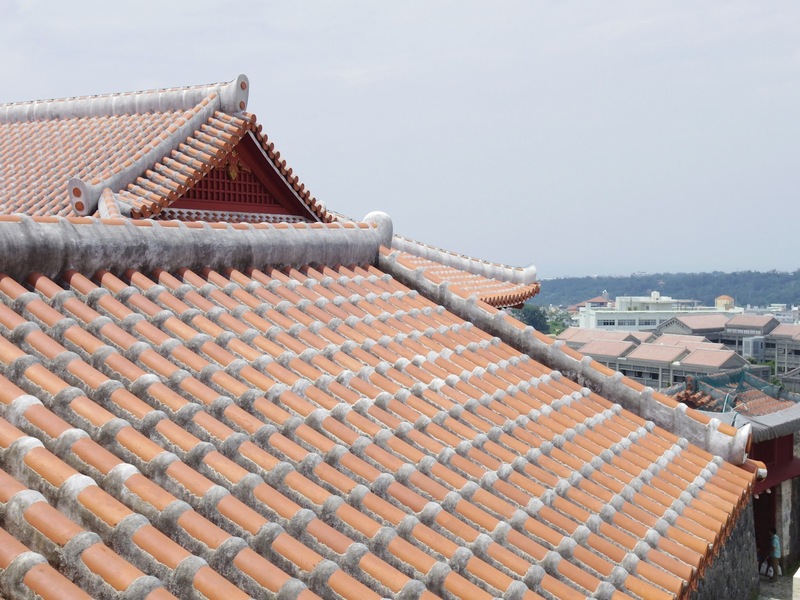 The roofs were all traditional Ryukyu Aka-gawara (Ryukyu Red Roof Tiles). 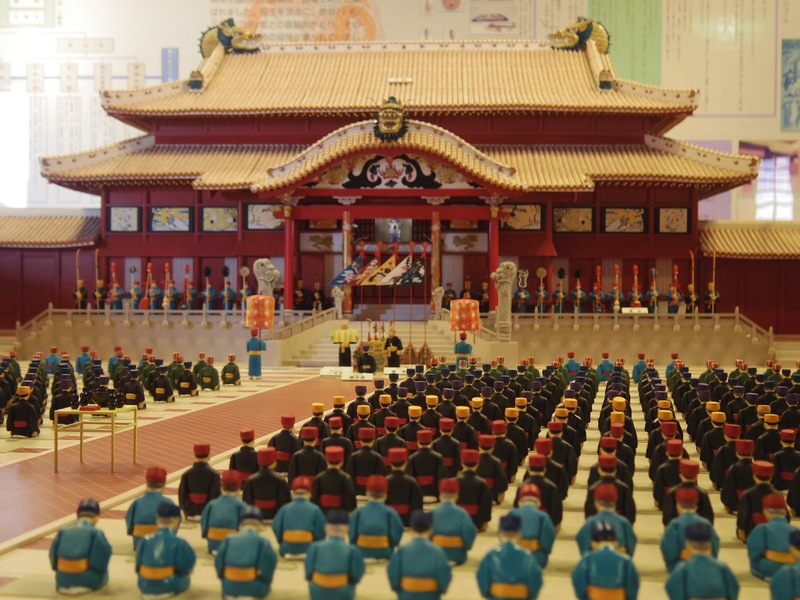 One of the miniature replicas on display…my ancestors were sitting in the Uekata (親方) rank. The outer wall shows which rocks are original and which rocks were replaced when rebuilt. We only had about 2 hours to go through the castle grounds and at first we thought that would be plenty of time…but actually we had to rush through it all because there was just so much to see. Especially when you want to read through the information. It was just really interesting for me because this is all part of my history. Funny story. 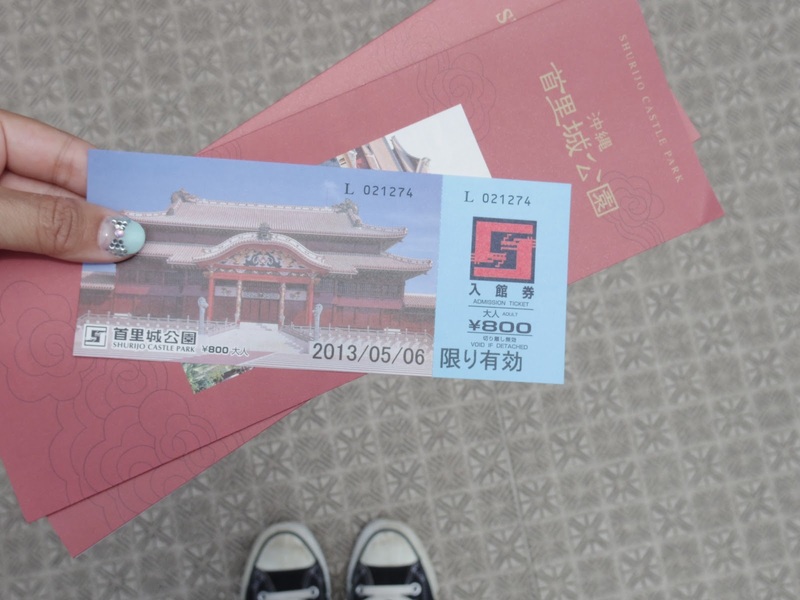 I had no idea that Shuri Castle was rebuilt so recently. 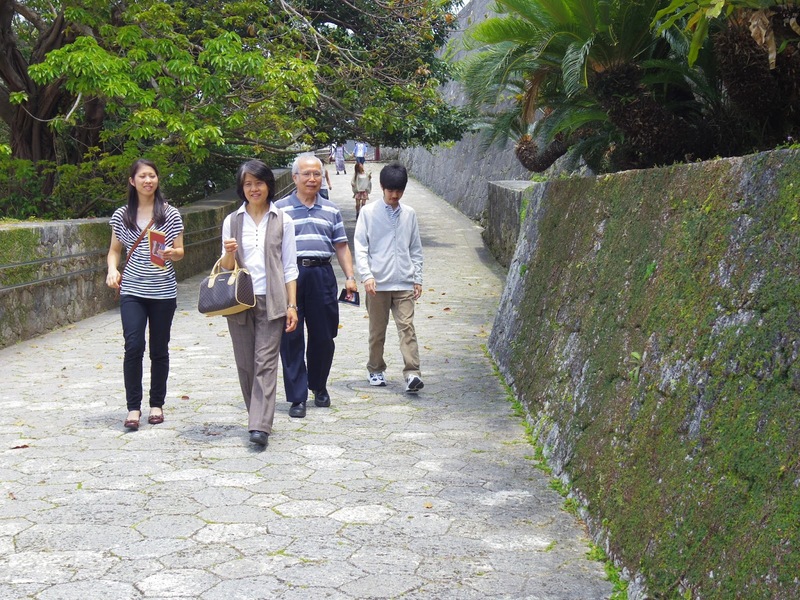 I remember talking with my mom before this trip and mentioning I wanted to stop by Shuri Castle. And my mom says, “Oh I’ve always wanted to go see Shuri Castle, too!” Which was really odd for me because I was thinking my mom was born and raised in Okinawa and why wouldn’t she have seen it already? I thought maybe it was one of those things when locals don’t go to touristy spots because they’re always there? 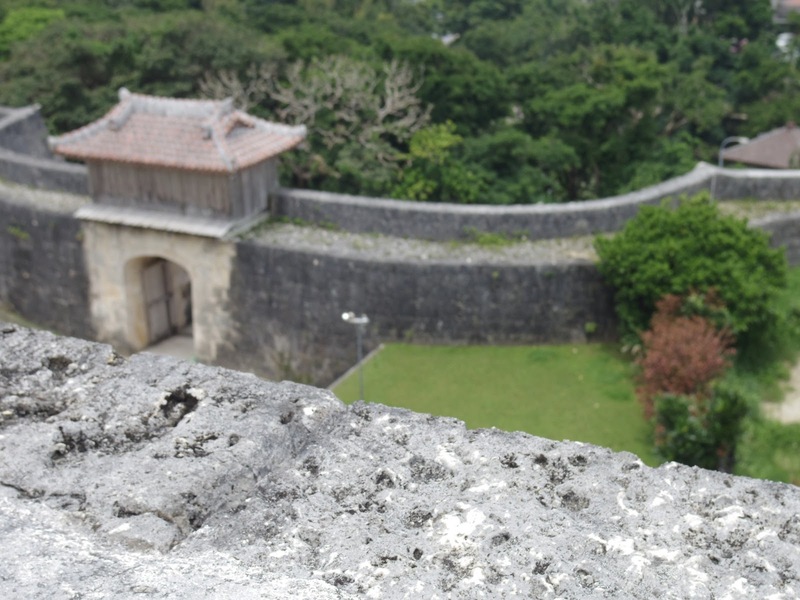 So it was quite a surprise to me when I learned that Shuri Castle was only rebuilt in 1992. Since we were state side until 1996, this all made sense. And it was just really fun learning about our history together! I love your Okinawa posts. The castle looks more Chinese than Japanese, doesn't it, or am I being stupid? I knew your ancestors had to be close to royalty! 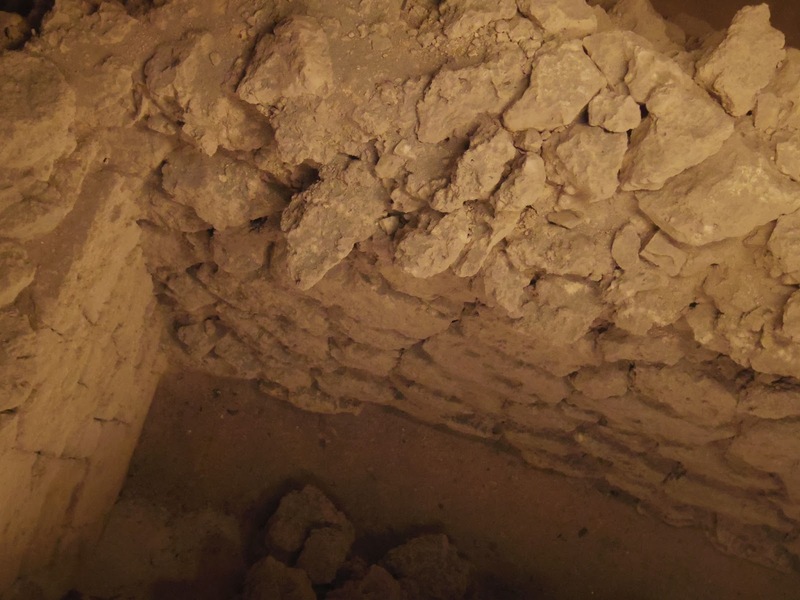 That photo of the old castle walls reminded me of the ancient ramparts of the Louvre under the museum in Paris. I have a couple books on Okinawa but I have been procrastinating reading them. I am laziness personified. One is this one, and another is here: The Great Loochoo about village life. Google Books has a few pages of the latter here (written in 1955). 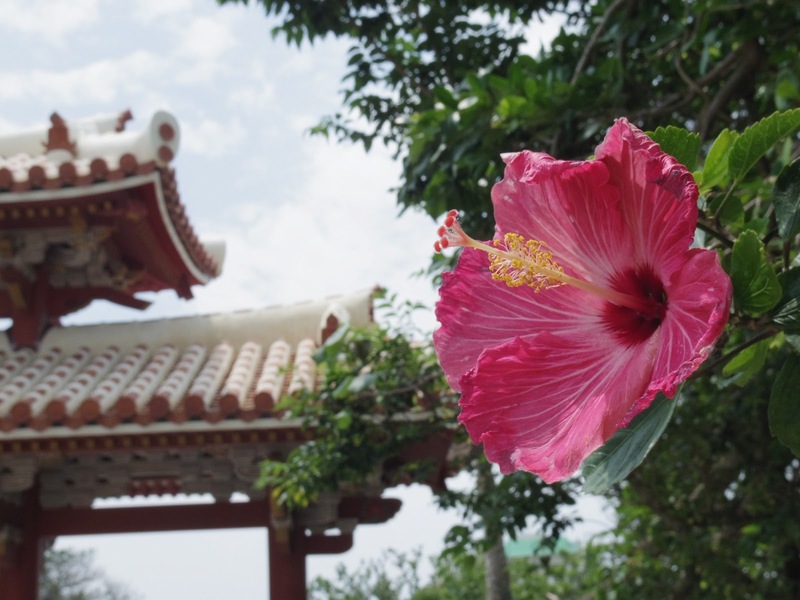 The hibiscus and gate photo is so beautiful. Not sure about royalty, but it's always really interesting to learn about your family tree!